It was three short years ago that the idea of the Hot Rod series was first put to paper. With the 2018 race season is just a few short months away, the second full schedule is set for the popular division. The first race will take place on April 28th as Sunset Speedway is welcoming the series to help celebrate their 50th Anniversary season on racing. Fans will be transformed back to that day back in 1968 when the sound of race engines first came to life at Sunset Speedway. For one new Hot Rod driver, this will be a special day as he competed on that opening day and will again be in the field for this event. The teams will then have a few weeks off to polish the cars to prepare for the first big double weekend event of the 2018 season. The May long weekend will see the series as part of the Spring Velocity at Sunset Speedway, with qualifying on the Saturday night. The feature event will be contested under the sunshine on Sunday afternoon. Kawartha Speedway is one of the tracks that every driver looks forward to the opportunity to compete on. June 1st will see the Hot Rods tackle the highspeed race track with a 25 lap feature event. Will is be the Chevrolet horsepower, or perhaps a Ford and cannot forget the Dodge to claim victory. The Hot Rod teams will then have a few weeks off before returning to competition in July. With the official kick off to summer 2018 the tour will return to Sunset Speedway and celebrate Canada Day in front of the great fans at Sunset Speedway. After this event the points chase will start to take shape and fans will see if it their favorite driver or their favorite brand of car that leads the charge…will it be Chevrolet, Ford or Dodge that will have the bragging rights. The July 13th and 14th will be the weekend that could decide it all. 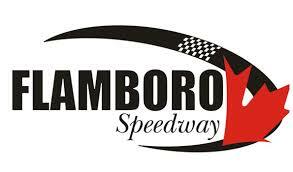 The tour will run double features at Kawartha Speedway on July 13th before heading to the real wildcard of the season. The series will return to Brighton Speedway for their second visit to the legendary dirt track. As most drivers have little to no experience on the dirt this event will be one to see. To make things even more interesting there is a $500.00 bonus if a driver can win all three feature events on the weekend. If the bonus is not collected it will be divided among the top 5 drivers with the best average finish for the weekend. In racing it is hard to find time for family, but the Hot Rods have made it very family friendly with a few weeks off before getting back down to racing business. With the end of summer near, there is no place better to head than to Sauble Beach. The Hot Rods will be making their first ever appearance at Sauble Speedway as the teams run two complete shows on Labour day weekend, while chasing the famed surf board trophy. With playoff season in sight, that means every point counts. The first event will be the Fall Velocity at Sunset Speedway on Sept 22nd -23rd. It was this event last year the solidified the series in Ontario with great side by side racing under late summer heat. The season and the championship will be decided the following week at Frost tober Fest at Flamboro Speedway on the 29th of September. Who will be the second driver to have their name engraved on the Gary Elliott donated Championship cup? Which one of the big three automakers will have bragging rights? Who amongst your friends will be pounding his chest as his favorite brand took it all? All those answers and more will be answered starting in a few short months. Schedule: April 28th Sunset Speedway, May 19th -20th Sunset Speedway Spring Velocity, June 1st Kawartha Speedway, July 1st Sunset Speedway, July 13th Kawartha Speedway (double features), July 14th Brighton Speedway, September 1st -2nd Sauble Speedway (feature event each day), September 22nd -23rd Sunset Speedway Fall Velocity, September 29th Flamboro Speedway Frost Fest.